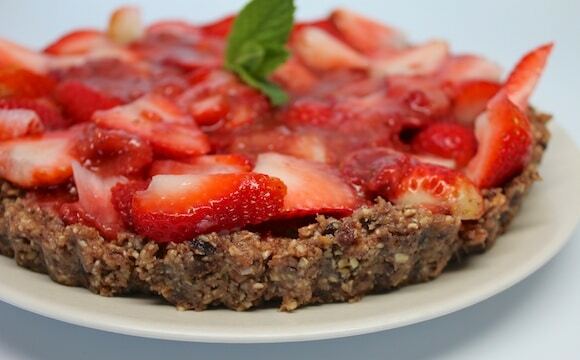 This Raw Strawberry Tart is easy and perfect for vegan and gluten-free dessert lovers! It’s no-bake and so delicious. 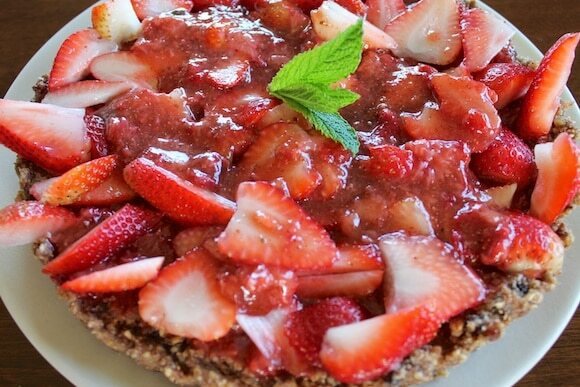 I made a raw strawberry tart last summer, but I used maple syrup in the crust and I kept meaning to make a crust using date paste instead (since dates are a whole food as opposed to a concentrated sweetener). Have you ever made date paste? I’ve seen various recipes for making it, but what I did was pit 8 Medjool dates (the big kind) and put them in a small saucepan with about 1/3 cup water. I then brought it to a boil and then simmered the dates and water until it turned into a thick paste. It took about 20 minutes. The date paste made my crust mixture very sticky, but it also made it sweet and delicious. 1–2 teaspoons coconut sugar, if desired (this depends on how naturally sweet your strawberries are. If they are on the tart side, you might need the sugar. If your strawberries are very sweet, then leave out the sugar). 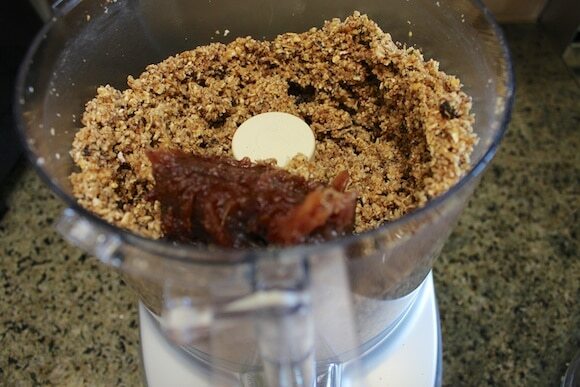 Place nuts and oats in a food processor and process on high for about a minute or until a flour-like consistency is reached. Add raisins and process on high for another minute. 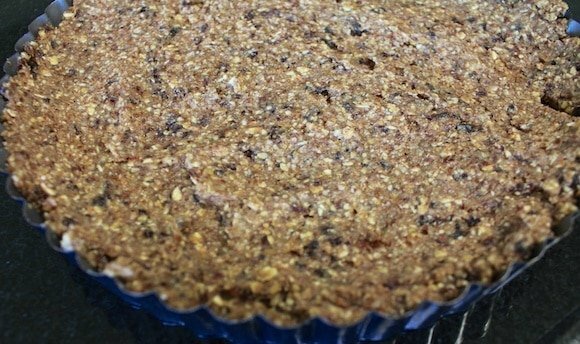 Add ground flax seeds, dried currants, date paste and vanilla and pulse several times or until ingredients are combined. 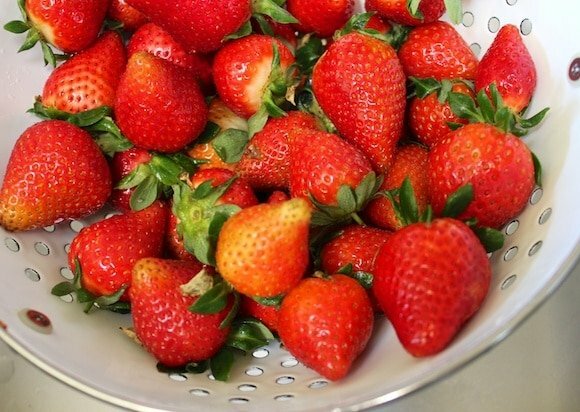 Wash one pint of strawberries and remove the stems. Add them into a medium bowl with the ground chia seeds. Use a fork to mash the mixture together and set aside for at least 10 minutes to thicken. In the meantime, wash the other pint of strawberries and slice them thinly. Pour the crust mixture into a tart pan and press evenly, including up the sides. 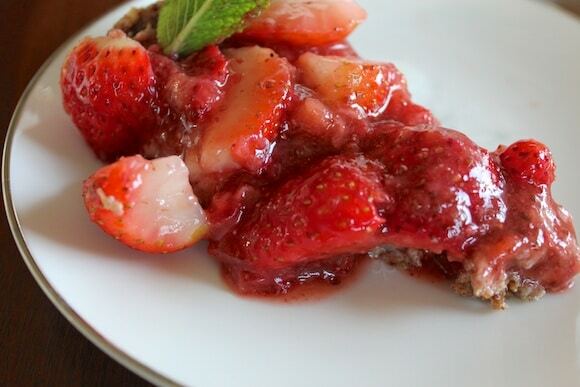 Pour over the strawberry sauce from your bowl over the entire tart and then placed the sliced strawberries on top. 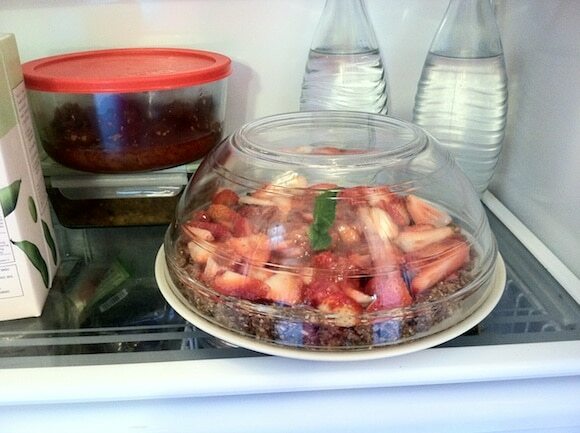 Let tart chill in the fridge for at least an hour before serving. Serve cold or at room temperature. *To make date paste, place 8 pitted Medjool dates in a small saucepan with just enough water to cover (about 1/3 cup). Bring to a boil and then reduce the heat to low. Simmer, uncovered, for 15-20 minutes, or until the dates have reduced to a thick paste. 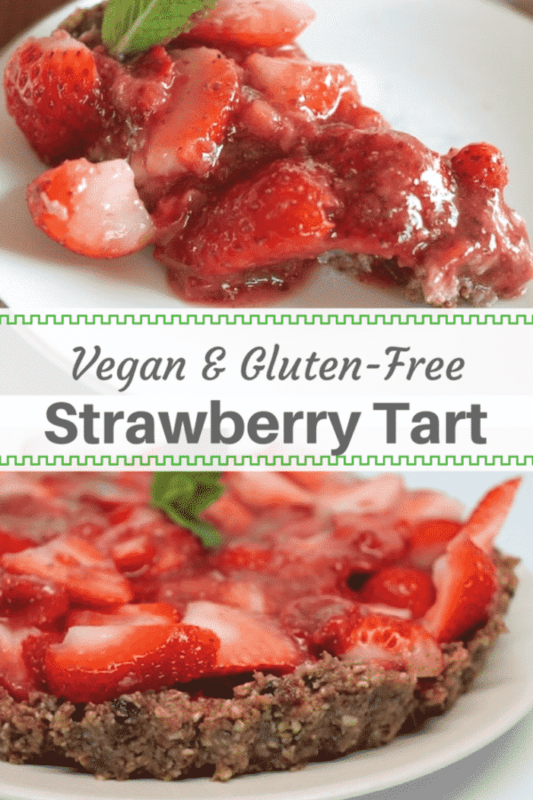 Pin this Vegan Strawberry Tart Recipe to your favorite Pinterest board. 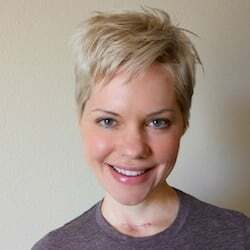 Note from Carrie: this post was originally published back in 2013, but I updated it in 2018. It’s one of my favorite recipes! Just printed off the strawberry tart recipe, and will be making it for dessert tonight!! Thank you again for your wonderful inspiration!! I make some raw brownies with the same method as your crust but add cocoa powder. I think I will make a thin layer then add the strawberries. Chocolate+strawberries YUM! I am so excited to have won, thanks again! Sounds like you are making great progress on your degree. Best of luck! Boston is such a tragedy… I still can’t believe it happened. Your raw strawberry tart looks so delicious. I’m going to bookmark this one! Oh yes! You had me at “Good morning!” LOL. In all seriousness, this looks gorgeous, thank you for the recipe! Just wanted to give a note of support on your masters project. As the thesis director for several masters students, I totally support your cutting back on blogging even though I miss the posts. There comes a point in every thesis where you have to cut yourself off from real life, put your head down and just power through. It will feel soooo good when its done! The tart looks so delicious, Carrie! I’ll be making it next week for my birthday. Have a lovely weekend! Thank you, Oly and happy (early) birthday. Best wishes for many, many more years of health and happiness. Hugs!!! Carrie, your tart is absolutely gorgeous!! And I love the ingredients you used. I’m definitely making this as soon as strawberries hit our farmer’s market. Come share at Raw Foods Thursdays! And hang in there and good luck with your project! Aw, thank you, Carrie! I love yours too! Such wonderful recipes and vegan inspiration! 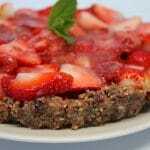 This strawberry tart recipe is out of this world, so I’m featuring it at Raw Foods Thursdays tomorrow. I am so ready for strawberry season! So fresh and beautiful… and healthy, yay. Love that you’ve created a crust without maple syrup. Sounds delicious. Yay strawberry season! This looks divine. My favorite fruit tarts are with fresh fruit. This may be silly, but how big is the tart pan? I made the strawberry tart last week and it was fabulously delicious! Both my husband & I thought it tasted even better on the second, third and fourth days!! Thanks creating for such a great recipe. Love your blog too. I’m just now catching up on my blog reading from my busy end-of-semester time and came across this post. I love adding chia seeds to strawberries too 🙂 I never thought to make a pie out of it. Nice! I love making ‘pie’ crusts with nuts and dates. So good! Can’t wait to make this! I’m going to puree some strawberries too and spoon over the top. I do this for ther pies and it really makes it decadent! Great idea, Cookie! Send me a picture after you make your version, I’d love to see it! XO. Great idea for strawberries. I like this. Thanks Carrie for sharing this recipe.